Sick of sitting in the house but don’t know what to do because of the cold weather? It’s snow problem! 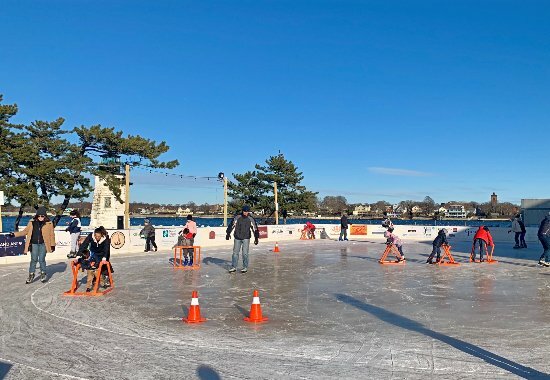 Now through the end of February, skate by the sea at Gurney’s Resort in Newport. Guests and locals alike can take in unobstructed views of the Newport Bridge and beautiful Narragansett Bay. Warm up post-skate at the hotel’s Regent Cocktail Lounge for an après skate menu featuring cheese fondue, chili cornbread, spike cider, hot cocoa and more. The skating rink is open 10 a.m. to 9 p.m. daily and costs $7 admission plus a $5 skate rental. If you’re looking to make a weekend of it, book a room for the Stay and Skate package. See website for details. 1 Goat Island, Newport, 401-849-2600, gurneysresorts.com. Join the Audubon Society of Rhode Island on February 17 to explore Caratunk Wildlife Refuge by snowshoe. After some fresh air and exercise, return to the barn for sips of hot cider and yummy pastries. 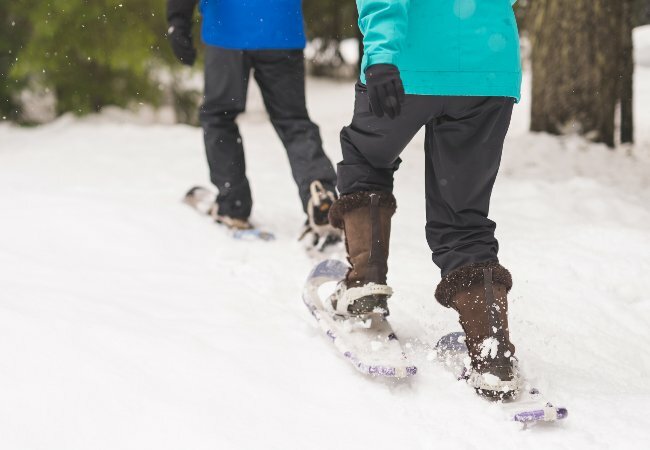 Dress warmly for the weather and bring you own snowshoes. Local REIstores provide rentals if needed. The program begins at 8 a.m. and costs $10 for adult members, $5 for children members and $14 non-member adults and $7 for non-member children. Caratunk Wildlife Refuge, 301 Brown Ave., Seekonk, MA, asri.org. Photo from the Alex and Ani City Center Facebook Page. 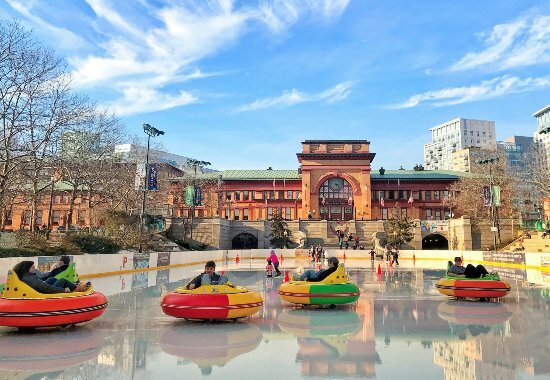 Fasten your seatbelts and get ready to bump your way into the weekend at the Bumper Cars on Ice at the Alex and Ani City Center. As the first outdoor rink in the country to host this family friendly winter activity, move forward, backwards and side-to-side for a little friendly competition with your friends. To operate a bumper car alone, the driver must be at least six years old and at least forty-two inches tall. In order to carry a passenger, the operator must be at least sixteen years old and the passenger must be between three and five years old. Tickets for bumper cars are $12 per rider for twenty minutes. Children ages three to five ride free seated with an adult. See website for hours of operation. Alex and Ani City Center, 2 Kennedy Plaza, 401-680-7390, theprovidencerink.com. Photo by Kyle Corrigan from Yawgoo Valley Ski Area and Water Park Facebook Page. Winter is underway at Yawgoo Valley. 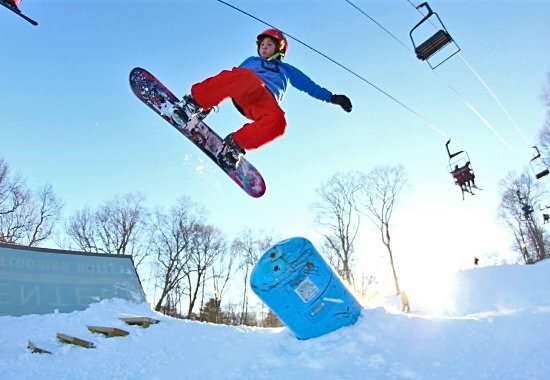 Hit the slopes by ski or board or take a beginner lesson on the bunny hill. There is thirty-six acres for you to explore, plus an option to shred the powder for nighttime skiing. If skiing or boarding isn’t your thing, hop on an inner tube and slide down snow-covered hills. A lift tows tubers back to the top, too. See website for park hours and ticket prices. 160–220 Yawgoo Valley Rd., Exeter, 401-294-3802, yawgoo.com.